For your family and loved ones. Hearty and delicious roast duck with sweet mango sauce. The epitome of any Chinese feast is one with a roast duck served in the middle of the dining table. 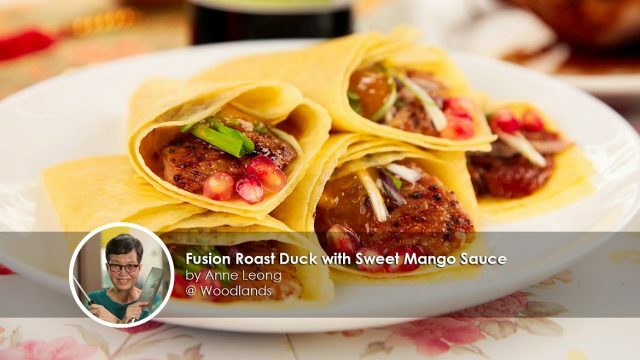 This Fusion Roast Duck with Sweet Mango Sauce recipe is inspired from these dishes: (1) traditional roast duck, (2) Peking duck wrapped in a crepe and (3) Italian’s seared duck with red wine sauce. We've kept this recipe children-friendly and replaced the red wine with sweet mango sauce and Ribena Cordial. A perfect combination to surprise the taste buds of your guests and sure to be a big hit this CNY! 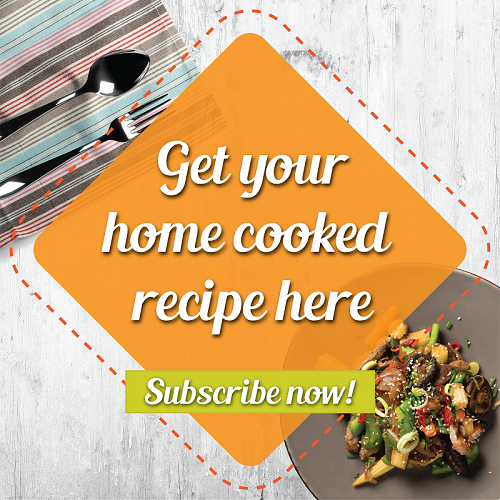 This DIY dish will interest your guest and the good thing is, it is not messy at all. This tart-sweet-savoury Ribena mango sauce best accompanied with fragrant egg crepe. On the first bite, you would experience the tropical fruity sweetness from the sauce. Next, the delicious and flavourful aroma of the duck comes in. The duck bursting with flavours from the skin to the succulent meat. You'll want to finish it all. 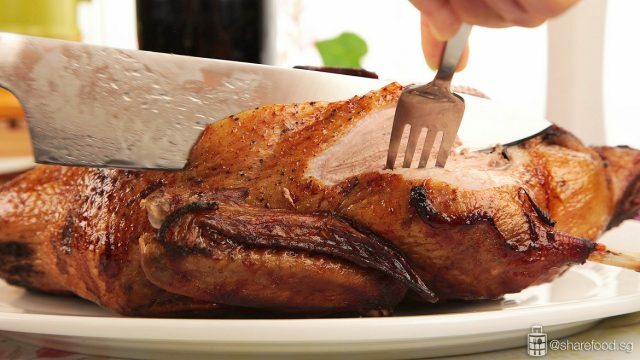 Pre-prepare the duck the day before, and on the 2nd day, you can simply pop into the oven and let it cook on its own while using the remaining time to cook other dishes. Best of all this dish does not need to be served immediately! It still tastes as delicious when served at room temperature. 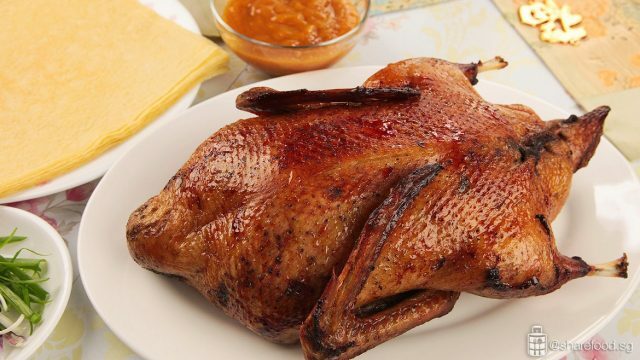 Hearty and delicious roast duck with sweet mango sauce. The epitome of any Chinese feast is one with a roast duck served in the middle of the dining table. We've kept this recipe children-friendly and replaced the red wine with sweet mango sauce and Ribena Cordial. A perfect combination to surprise the taste buds of your guests and sure to be a big hit this CNY! Combine [A] together. Rub it on the duck’s skin. Set aside. In a pan without oil, fry [B] till fragrant and the onion turn brown. Add in [C], fry it for another 3 mins. Once it has cooled down, stuff it into the duck’s cavity. Secure the cavity with the satay stick. In a large pan, boil [D]. Lift up the duck by its neck and use a ladle to bathe the duck. Repeat 10 times till the duck’s skin tightens. Set aside. Pat dry and transfer it into the chiller uncovered. Let it dry for at least 5 hours or even overnight. Place the duck on the baking sheet, breast facing upwards, and place it on the lowest shelf. Let it roast for 1 hr, till the skin of the duck turns duck. Flip the duck and roast for another 10 mins; this will allow an even roast overall. Remove from oven and let the duck rest for 15 – 20 mins. Add [E] to a blender. Pulse it till the doneness you prefer. Add in more Ribena cordial for the sweetness. 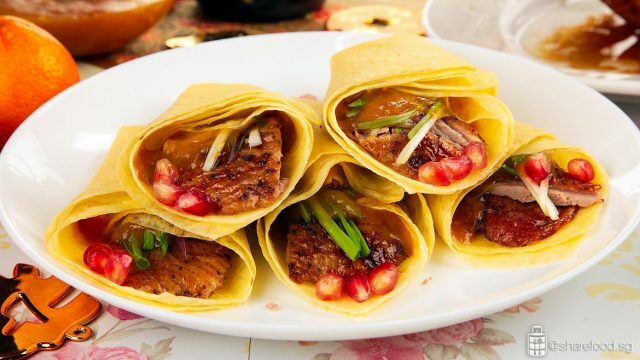 Serve the duck with egg crepe, spring onions and mango sauce.